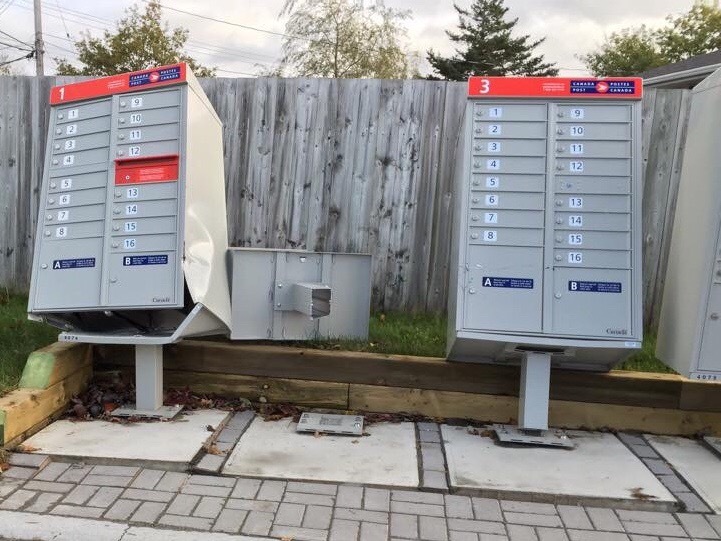 I Guess The New Mailboxes Aren’t School Bus Proof! | Sack-Vegas!!!! The Great Sackvegas Halloween House Contest! Year One Of My Blogging Adventure: Cool Things Happened! LOOK!! I Guess The New Mailboxes Aren’t School Bus Proof! Yikes!! Apparently a school bus had a little run in with it. This is at the Sycamore end of Aspen. Posted by Sacky on November 3, 2014 in Uncategorized. Just a goofball from Sack-Vegas! Rounders Pizza & Burgers #Sackville Is Done. The “Hot Five” Posts !